Let me start with the most important thing. Election Day is November 6th, and it is vital that you let your voice be heard. It is also important to make sure your friends and family are engaged and voting. In 2016, according to Pew Research, Asian American voters had one of the lowest turnout rates. Nationally only 47% of registered APA voters went to the polls. So, vote on November 6th, and please make sure you are active in engaging our family, friends, and community to vote as well. 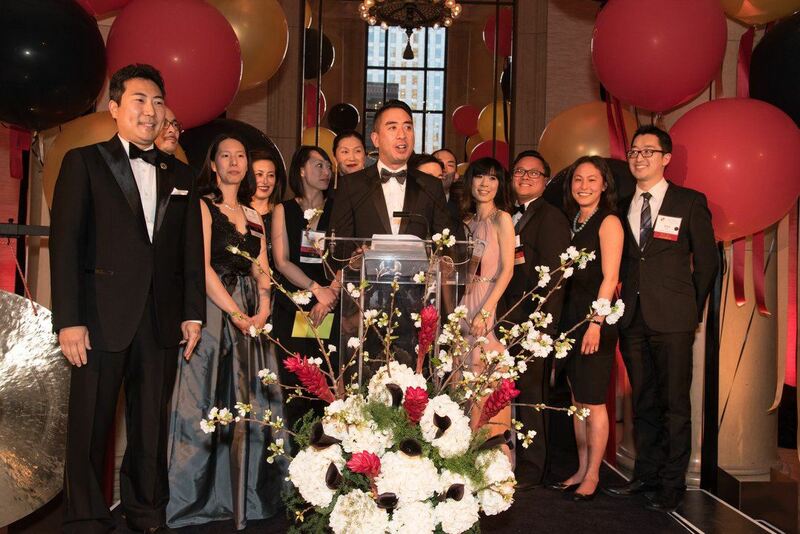 One of the main goals of every AABA President is to identify and cultivate the next generation of leaders. Last month, we saw two great events aimed at those upcoming leaders. I was privileged to co-host and participate in the kickoff of AABA’s 2018-2019 Mentorship Program. We had almost 100 law students and new attorneys there to meet their mentors and build a relationship that will impact both mentors and mentees immensely. It was a great event, and I was excited to see so much energy and enthusiasm in the room. 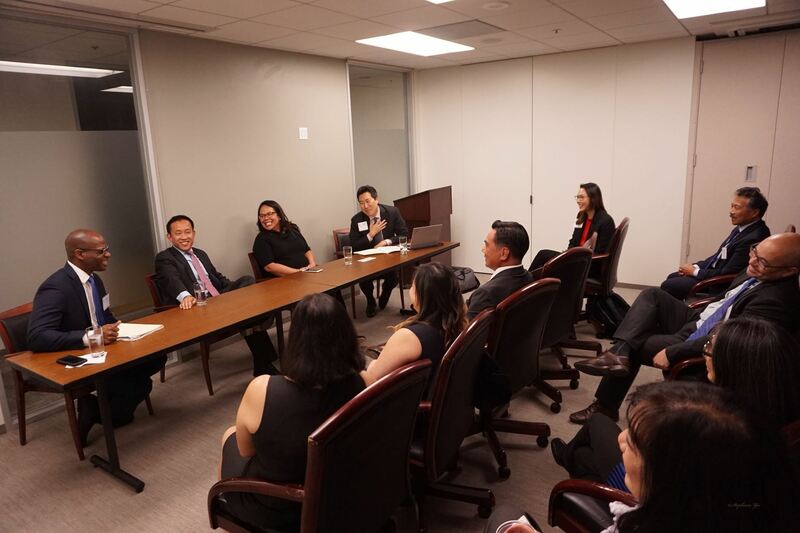 AABA was proud to co-host the inaugural Leadership Advancement Program with NAPABA. 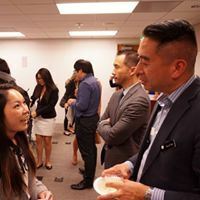 This intensive three day workshop focused on developing mid-career Asian Pacific American attorneys’ leadership skills, while providing an opportunity to foster genuine relationships with peers within the profession, especially between in-house counsel (IHC) and law firm attorneys. The most exciting thing about this workshop was how engaged the attendees were, with several offering on the spot to help facilitate next year’s program. 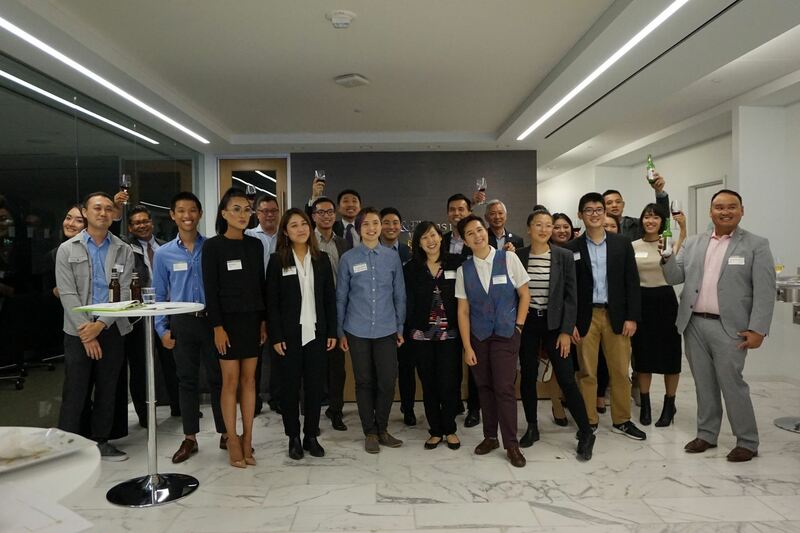 AABA Secretary Michelle Park Chiu is kicking off AABA’s Pathways to Partnership next month with many local in-house counsel, and we thank everyone’s participation in building the next generation of AABA leaders. In closing, and combining my threads of leadership and voting, elections for AABA Board positions will be announced shortly, and I encourage anyone interested to apply. Joining a committee or serving as a co-chair are also excellent ways to help shape the future of AABA. So, vote, engage with your communities, and find ways to be leaders! We are better together, stronger united! Elections are coming up. AABA will begin accepting applications for the 2019–20 Board of Directors on October 29, 2018. We encourage all qualified members to consider joining the leadership of our bar association. Voting will be open to AABA members, except student and non-attorney members. To apply for the AABA Board positions, visit this webpage. If you have any questions, please contact aabaelections@gmail.com. The debate about affirmative action is not new, nor the insertion of Asian Americans. More than a generation ago, four law professors of Asian background — Gabriel “Jack” Chin, Jerry Kang, Sumi Cho, and I — wrote a monograph entitled “Beyond Self-Interest” analyzing this issue. We were new to academe, graduates of law school when Asian faces were rare. The framework we offered then remains good now, but I was naive in underestimating how easily this issue could be used in appeals to Asian American families. For those of us committed to civil rights who happen to be Asian American, this issue is not easy. On the one hand, we have fought for so long to be included in discussions, and I admit to being angry at liberals and conservatives alike who would deem us either perpetual foreigners with no stake here or model minorities with no problems. I want to be absolutely clear that I stand alongside the Asian American students, and their parents, who want what everyone wants: an opportunity to pursue their dreams without being labeled by the color of their skin. I was once such a student. On the other hand, I have no interest in being used as a racial spoiler to attack other minorities, and I am well aware that I enjoy privileges and no doubt myself hold prejudices despite my principles. I also stand alongside African Americans, Latinos, Jews, Arabs, and so many others who have made it possible by their advocacy for me to claim equality. My career has been about bridge building as an ideal. The Harvard trial which is ongoing is so important to our shared future. From studying the issue, I am persuaded more than ever of the importance of evidence and facts, over ideology and assumptions. It is altogether possible that Asian Americans are facing racial discrimination, which there has been a credible basis to believe for some time as to many institutions of higher education, and that efforts to ensure access are being wrongly blamed. These are distinct problems. That was true for Jewish students in the Ivy League through the 1950s, when they were admitted but subjected to informal gentleman’s agreements that set quotas. It was straightforward anti-Semitism, and it had nothing to do with helping African Americans (who were basically absent from those campuses). The great irony is that Asian Americans might well benefit from holistic review of application files. Asian Americans who are aggrieved about their treatment, including well beyond their undergraduate years, ought to be given consideration like everybody else. Asian Americans appear to face a worse glass ceiling in many contexts as measured by their average qualifications. Yet bullying, implicit bias, the deleterious effects of so-called “Tiger” parenting, and the higher standards for Asian candidates are dismissed rather than addressed. It actually is in the self-interest of Asian Americans to embrace diversity. Here are some thoughts about the current case. Now, the real problem has become clear. Asian Americans might be against “preferences.” What we should understand, however, is that the vast bulk of such preferences operate to benefit whites over Asian Americans, not African Americans and Hispanics. Whites and Asian Americans are the primary competitors to one another, and within each community, for seats at top-ranked schools. If all the African Americans and Hispanics in the pool vanished — which some seem not to mind; witness the acceptance of the absurdly low enrollment in the University of California professional schools after Proposition 209 passed — white and Asian American kids still would be vying against one another. It is in that contest that whites have been given an unfair advantage. Properly implemented, efforts to ensure diversity in enrollment would evaluate the persons not included in the program, generally whites and Asian Americans, on an equal basis. The data has always been out there in the open: whites are admitted with, on average, lower test scores. Yet that astonishing fact has simply been ignored or misinterpreted. Jerry Kang, a vice-chancellor at UCLA in charge of addressing bias and promoting inclusion, wrote an academic article more than a generation ago describing a phenomenon he termed “negative action” toward Asian Americans. In one of the earliest studies to explain the situation, he pointed out that Asian Americans were not only excluded from affirmative action for other minorities but also subjected to worse treatment than the majority. They were being passed over not due to what has been dubbed “reverse” discrimination (to help African Americans and Hispanics) but rather out of regular discrimination (to help whites). That is the old-fashioned type of discrimination, practiced, for example, when Jews were not fully white and faced quotas in college admissions right up to the civil rights movement of the 1960s. The Asian American experience repeats the Jewish example. There is no good basis for saying that whites were discriminated against by Asian Americans historically, such that a remedy is necessary; or that they suffer some disadvantage vis-a-vis Asian Americans today, such that mitigation is needed. Despite his work, critics, including Asian Americans, persisted in urging Asian Americans toward the impossible position of taking on African Americans and Hispanics. The few statistical studies that have been done bear out Kang’s hypothesis. It is even the case for magnet high schools: in San Francisco, Lowell, both public and prestigious, had a system adopted in settlement of desegregation litigation in which Chinese American students had to do better than white students. There is no quarrel with the basic analysis that whites have been held to a lower standard than Asian Americans. People simply have not been much exercised about it, or, when Asian Americans complained, they were misdirected to blame African Americans and Hispanics. There are quibbles about the exact mechanism that is used. It may be that “legacy” preferences, for students who are the child or grandchild of an alumnus or donor, are the factor. Ironically, they could be phased out as Asian Americans are poised to have a generation able to check that box. Both say what Kang and others have noted to no avail: to reiterate, “affirmative action” for whites, not African Americans and Hispanics, is hurting Asian Americans. Perhaps that will change. It likely would lead to what might be untenable, that on some campuses whites come to be outnumbered by Asian Americans. The demographic trend toward majority-minority, some have suggested, is why state subsidies for schools, in the interests of access for all, have become less popular. Most college students in four-year schools are at public ones. But their tuition continues to rise as the tax-payer contribution falls. There is much more to be said about these subjects and which should be said calmly and reasonably, rather than angrily. Asian Americans could be disaggregated to reveal disparities. Asian Americans usually are measured against an inappropriate baseline of the general population, not those who are qualified, to suggest their overrepresentation. Asian Americans also are grouped with Asian nationals — citizens being categorized with foreigners — artificially increasing their numbers while politically decreasing their support. People can, and do, disagree in good faith about whether racial diversity is a worthwhile objective and how it ought to be attained. But when we argue, we should do so on the basis of actual facts rather than false stereotypes. Asian Americans are right to be upset. They should know the cause of their concern. Frank H. Wu is William L. Prosser Distinguished Professor at University of California Hastings College of the Law, where he formerly served as Chancellor & Dean. This article originally appeared in Huffington Post, and constitutes his personal opinion. He testified on behalf of student-intervenors at the trial of the University of Michigan affirmative action case. AABA is pleased to recognize new partners. 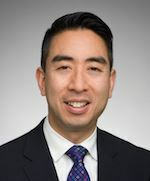 This month, we highlight Peter Wang, a recent partner with Coblentz Patch Duffy & Bass LLP. Mr. Wang is a corporate attorney with Coblentz, with focuses on mergers & acquistions, and outside general counsel work. Mr. Wang earned his J.D. from the University of California, Los Angeles School of Law, where he was Editor-in-Chief of the UCLA Journal of International Law and Foreign Affairs. He graduated from the University of California, Davis, where he earned B.A. degrees in Political Science and Classics. We are always looking for recent partners for this feature. Do you know a recent partner AABA should profile? Let us know. 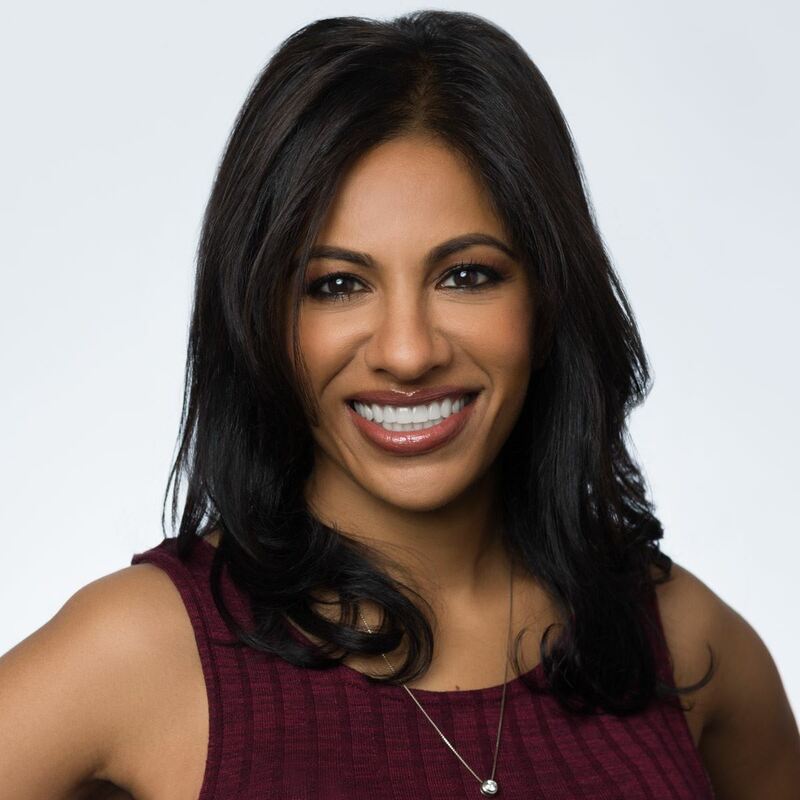 Sangeetha Raghunathan is General Counsel of Indiegogo, Inc., an online crowdfunding platform that connects entrepreneurs and the community to help bring ideas to life. Prior to joining Indiegogo, Sangeetha was Deputy General Counsel at SquareTrade, Inc,, Associate Principal Counsel at Disney (in the Disney Interactive Division) and began her in-house career at Visa Inc. as Privacy & Data Security Counsel. She was formerly an IP litigator at Farella, Braun & Martel and later joined the California Attorney General in the Antitrust and Consumer Fraud Divisions. First job: My first job was doing data entry at my dad’s medical office. I used the hunt-and-peck method to type in the numbers and after two days, the billing coordinator moved me to filing. Favorite books: I just finished the Ibis Trilogy by Amitav Ghosh and my other most recent book recommendation to people has been Pachinko, by Min Jin Lee. Both are really well-researched fictionalized accounts of trade and life East Asia and fantastic food descriptions, which I love. I’m probably one of the few people that really savored the food descriptions in the Little House on the Prarie books, despite being a vegetarian. What do you like about your job? There is never a dull day, or even the same day! I love working with a team of really innovative thinkers who are always coming up with ways to support responsible entrepreneurship. What is the least favorite part of your job? Dealing with the DMCA process. And filing (still scarred from my medical office assistant days). Join us for a screening of the award winning documentary "And Then They Came For Us" and a panel discussion discussing the film and its relevance to the political and constitutional landscape today. Register on the BASF website. AABA Idol is back! Channel your inner Miguel from Pixar's Coco and compete in our very own Dia De Los Muertos singing competition! November 2 - November Partners Lunch "Going in Reverse? Peoples Across an Ocean Divided by a Common Culture"
Join fellow partners in a lively discussion. Solo and small firm practitioners are invited to present their practices in five minute "spotlight" sessions. A panel of In-House Counsel and Social Justice attorneys to discuss opportunities where corporations and social justice organizations can better communicate, collaborate, and coordinate the advancement of social justice issues together.